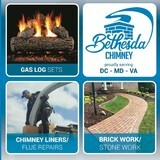 Bethesda Chimney is Licensed, Bonded, and Insured. You can feel relaxed and secure knowing that the job will be completed worry free. We also use the latest tools and technology and are trained in the latest residential codes and fire safety. From our experienced office staff to our informative estimators, to our amazing field technicians; Bethesda Chimney delights its customers one job at a time by making sure every part of your experience is handled the Bethesda Chimney way. Our customers rave about our thorough workmanship, knowledgeable expertise, and qualified technicians who specialize in chimney and fireplace repairs. Our technicians are trained in proper chimney safety, code requirements, and provide friendly high-tech service that can't be beat. Bethesda Chimney provides professional, reliable chimney services including fireplace inspections, chimney cleanings, chimney relining, chimney rebuilds, and chimney repair. Furthermore, the chimneys, patios, firepits, driveways, and walkways we build are beautiful and long-lasting. The materials we use are top-notch. Bethesda Chimney sweeps away the competition by providing a seamless process from start to finish. Try us out for yourself to see what all the hype is about. We are a chimney and masonry company specializing on more than just chimney work. We have been in the chimney/masonry industry for as long as we can remember. 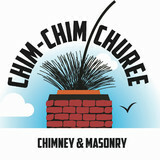 Our name Chim-Chim Churee Chimney & Masonry is inspired by one of everyones favorite disney classic, "Mary Poppins" and yes our technicians do wear the top hats, who if asked will dance around for you. We pride ourselves in being prompt, professional and positive to ensure our customers receive the best services. Winston's Chimney Service is a chimney sweeping, restoration, relining, and inspection company located in Fairfax, Virginia and servicing the majority of the Northern Virginia area. The company is owned and operated by Charles Hall, and it also handles masonry repairs, fireplace inspections, and dryer vent cleanings. The hours of operation are as follows: Monday - Friday 8:00 am - 5:00 pm. Need work done on your chimney? Call Johnnie Mack for competitive pricing! "You dust them, we bust them!" Check out our website for all your chimney and repair needs. Satisfaction guaranteed. Locally owned and family operated! Johnnie Mack is the best in the business. Call Now! EES Services, LLC has more than a decade of experience providing high-quality residential and commercial services. Here is a complete list of our services: * Air duct cleaning commercial and residential. * Dryer vent cleaning commercial and residential. * Bathroom vent cleaning. * Kitchen hood and vent cleaning. * Pressure washing: Decks. Siding. Brick patios Stone patios. Brick walls. * Chimney services: Fire place cleaning and repair. Prefabricated fireplaces cleaning and repair. Wood stove cleaning and installation. Gas flue cleaning. Chimney reline. Chimney caps. Chimney dampers. Cement crows. Back wall repairs and rebuild. Chimney rebuilds. We offer competitive prices and excellent customer service. Family owned and operated! We take great pride in our attention to health and safety, staying up-to-date with regular training in the latest cleaning agents and methods. We use only nontoxic and environmentally friendly cleaning agents, leaving your house clean and free from allergens. Potomac Services is a veteran owned,, top rated chimney sweep and air duct cleaning service providers in the Northern Virginia, Maryland and Washington DC areas. We have a dedication and a drive to provide our customers with the most incredible level of service and this is clear to see from our customer ratings. Our fully trained and certified technicians use a mix of experience, dedication and the most up to date specialist tools to provide you with a service that simply can’t be matched! Call today for a free estimate and to schedule your appointment! Chimney.com brings modern, innovative venting solutions while never losing the time standing traditions taught by the chimney and masonry professionals before us. Chimney.com carries warmth, joy and a sense of comfort to every house we step into. Chimney.com offers complete chimney and fireplace repairs and services. 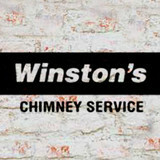 Since 1989 Chimney.com has provided chimney services for commercial and residential clients. Magic Broom Chimney Sweeps of Leonardtown, MD is owned by Josh Kelley. Magic Broom has provided comprehensive chimney, fireplace, dryer vent, and hearth services to the surrounding Lexington Park area since 1978.
thickandtired.co is a healthy food blog full of great articles to help you be the healthiest person you can be. Priddy Clean Chimney Sweeps, Inc. Welcome to Priddy Clean. We offer complete chimney, air duct, masonry and home improvement services. Our company has been serving the needs of residential and commercial customers since 1982 with exceptional service at affordable prices. We can help with everything from routine maintenance and emergency service to design and installation. Our services include chimney cleaning, chimney repair, air duct cleaning, chimney relining and much more. 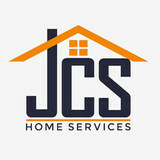 You can view a complete listing of our services and read more about our company on this website. Priddy Clean is fully bonded, insured and licensed in Maryland, Virginia and Washington DC. The chimney sweeps and contractors on our staff are knowledgeable and experienced to provide you with exceptional service for every job. We guarantee there will be absolutely no mess. We leave your home as clean as it was when we arrived. Please contact us or use our Online Scheduling to request an appointment. 1st choice chimney & maintenance inc is locally owned and family operated. With over 10 years experience in the chimney and cleaning industry and we are dedicated to providing our customers with excellence not only in the quality but the satisfaction of our work. We pride ourselves on the quality of work we do and going above and beyond for our customers is what drives us. We look forward to earning your business. We have an unwavering philosophy of caring for chimneys and homes. We believe in maintaining and preserving your home helps keep its value. We believe and understand all homes are important and have great value. So, when they’re looking a little sickly, our philosophy is to never let them perish. We work to revive—not replace—by breathing new life into worn down homes and chimneys. Colonial Chimney & HVAC LLC. has been servicing Maryland, DC and Virginia since 1990. We are a family owned and operated service company. Our highly trained and skilled professionals provide the highest quality of service, at the most affordable price. Based in Germantown, MD, we serve Maryland, DC, Virginia. Action Hauling has been proudly serving all of Montgomery County, MD community since 1980. An owner-operated company, we pride ourselves with prompt and dependable service. Whether you’re planning a home cleanout, a construction project or a commercial demolition job, we have several dumpster sizes to fit your application – from 10 cubic yards to 30 cubic yards. With our convenient drop-off and pick-up service, we make cleaning up your unwanted items and debris easy. We specialize in smaller roll off dumpsters delivered on smaller lightweight trucks; even our 25 and 30 yard dumpsters can be delivered on a smaller truck, depending on the loaded weight they may also be picked up with the same truck. This allows us to place your dumpster in small, tight spaces without causing any damage to the surrounding area. This is particularly useful in residential settings. Our dumpsters are tan in color so they blend into your landscape and do not create an eye-sore in front of your home or place of business. Take Action today and call for same day and short notice dumpster service. While a toasty fireplace is a luxury, it also comes with the responsibility of keeping it clean. Any chimney sweep in Woodbridge, VA can tell you that most homeowners neglect their chimneys, thus affecting the efficiency of the fireplace and risking potential disasters like a house fire. Don’t put you and your family at risk this year — find a local Woodbridge chimney cleaning service to inspect and repair yours so that you’ll be warm and cozy when the chilly weather comes to town. Why do I need to hire a chimney cleaner in Woodbridge, VA? Fireplace cleaning always seems like a messy task, and that’s because it is. Creosote, better known as soot, forms when wood is not properly burned — unburned tar vapors stick in the flue, or walls, and are tricky to clean but can lead to chimney fires if not taken care of. In fact, about a quarter of all residential fires that occur in the United States are caused by creosote buildup. That fact alone should motivate you hire a Woodbridge chimney sweep as soon as possible! Other common problems that a fireplace and chimney inspection should catch are damaged or decaying mortar and joints, leaks that let in air or water, and even animal extraction. Chimney repair is an important part of keeping your entire Woodbridge home safe and sound, so keep yours in tiptop shape to reap its benefits safely. The Chimney Safety Institute of America actually certifies chimney sweeps, so you know if they are CSIA certified that they will do a good (and safe) job. It’s recommended that you get a full chimney inspection once a year at least, so don’t hesitate to call a chimney service in Woodbridge, VA at any point during the year if you suspect something is not quite right. Find Woodbridge chimney cleaners on Houzz. Narrow your search in the Professionals section of the website to local chimney cleaning services in Woodbridge, VA and read reviews and ratings to find one that fits your needs.